OVERLAND PARK, KS--(Marketwired - September 20, 2016) - The Thornton Composite Reservoir, part of a massive Chicago-area combined sewer tunnel collection system that helps protect against flooding and pollution resulting from storm-related sewer overflows, has been named an American Public Works Association (APWA) Public Works Project of the Year. Thornton's reservoir capacity is up to 7.9 billion gallons of water, making it the largest combined sewer reservoir in the world. Black & Veatch led project planning and design and provided construction phase services as a primary consultant on several components of the project, which earned the APWA honor in the Environment category for projects greater than $75 million. The $420 million project plays a key role in the Metropolitan Water Reclamation District of Greater Chicago (MWRD) Tunnel and Reservoir Plan (TARP). Previously, heavy rains would lead to combined sewer overflows (CSOs) and flooding when the collection system capacity exceeded the area's water reclamation plant capacity. "The Thornton Composite Reservoir helps protect the homes and businesses of more than 556,000 residents and Lake Michigan, a main drinking water source for the Greater Chicago region," said Mike Orth, Executive Vice President and Executive Managing Director for Black & Veatch's water business. "Preventing CSOs also improves the environment and quality of area waterways. This partnership demonstrates how cities and municipal agencies can develop resilient solutions to wet-weather challenges." Instead of discharging into waterways, which can cause pollution, CSOs feed into the TARP system of tunnels, which route to the reservoir for holding until the overflow can be treated and safely released into local waterways. Thornton Reservoir was first put to the test in November 2015, when severe storms filled the reservoir with nearly 400 million gallons of storm water runoff. As a result, there were no CSOs reported in the reservoir's service area during the rain event. Black & Veatch, along with local teaming partners, provided planning and design of the reservoir's groundwater protection system as well as final reservoir preparations, including connecting tunnels, diversion structures and operation and commissioning of the project. The company used high performance grouting techniques and installed solar-powered aerators to reduce odors. 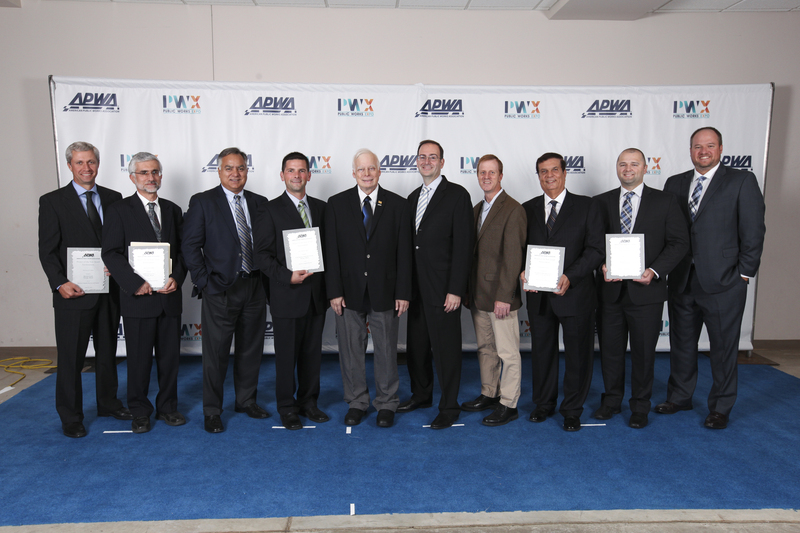 The Thornton Composite Reservoir project recently won the Outstanding Civil Engineering Achievement Award from the Illinois Section of the American Society of Civil Engineers for projects greater than $25 million. Black & Veatch has supported multiple elements of TARP with both MWRD and the U.S. Army Corps of Engineers, including design and construction support services for the Thorn Creek Connection Tunnel, which connects to Thornton Reservoir, and the McCook Reservoir Main Tunnel and Des Plaines Inflow Tunnel, both of which connect to MWRD's McCook Reservoir. The Thornton Composite Reservoir was formerly a limestone quarry owned by Hanson Material Services, which operates the Thornton Quarry. 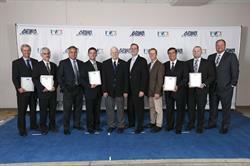 The American Public Works Association (APWA) Public Works Project of the Year award was presented to the Thornton Composite Reservoir team on August 29, 2016, in Minneapolis, Minnesota. Photo courtesy of APWA.